1.All fees include 8% of Consumption tax. 2. Please discuss with the person in charge for payment in installments. 3.＊Others include the fees of equipment, textbooks, hand-outs and extra-curricular activities. 4.Health Insurance deposit will be refunded after the actual registration of the National Health Insurance Agency of the local government. 5.When you decide not to study at MCA, the tuition will be refundable based on MCA rules. 6.The tuition and other fees are subject to change depending on the circumstances. 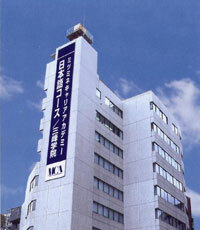 ■ Name of the Account:Mitsumine Career Academy Co,.Ltd.